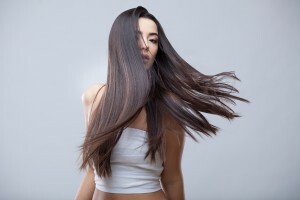 A Brazilian keratin treatment will straighten your hair, leaving it looking long, lush, and luxurious. But it does more than change the way you look. It also can change the way you feel about yourself and the way other people look at you. Most women know that there is a direct correlation between the way you look and the way you feel. When you are having a “bad hair day”, when your hair is frizzy and unmanageable, and when you look in the mirror and are horrified with what you see, you can be assured that it’s going to be a long, unhappy day. But when you have a Brazilian keratin treatment from Marcia Teixeira at your local professional salon, you can walk out with beautifully strong, straight hair that other people will notice. You will be the person people will want to get to know better. Your new hairstyle can help improve your social life, your personal life, and even your career. When you love the way you look, you will feel stronger, braver, and more confident. People will notice your new and improved attitude as well as your new, beautiful hair. You may have to get used to turning heads as you walk down the street or being the center of attention every time you walk into a club or gathering. A whole new attitude starts with an amazing new look. Treat yourself to a Brazilian keratin treatment from Marcia Texeira and get a new and improved outlook on life.